Recently we had the pleasure of hosting a Sseko Trunk Show here in our design studio. Since Sseko is located here in Portland, we had the absolute pleasure of meeting the founder Liz Forkin Bohannon. 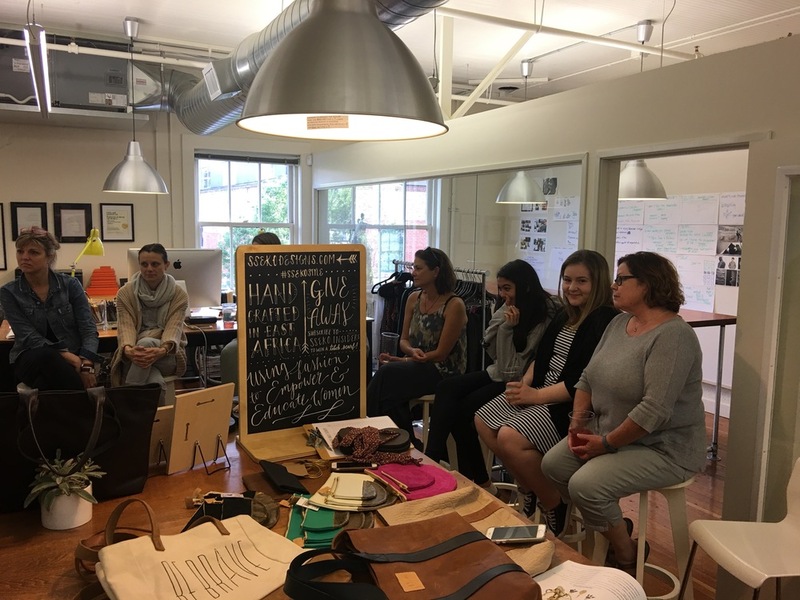 She told us the story behind Sseko and how the company is built with the goal in mind to help support women in Uganda, providing them with income that will be used to fund a college education. We take great pleasure in supporting companies that go beyond making profit and create ways to serve while following their vision and passion. Liz was inspirational and a good time was had by all....including a few fellow attendees! Thank you to Adrienne and Liz for sharing the Sseko story and inspiring us as well as showing us the cute product!